Austrian President Alexander Van der Bellen said on Monday that his country takes responsibility for the part it played in the Holocaust. “Austria bears shared responsibility for the Holocaust. Many Austrian citizens took part, and we bow our heads in memory of the victims in humility and respect,” Van der Bellen said during a welcoming ceremony at the Israeli President’s Residence in Yerushalayim. “We admitted our shared responsibility too late and that caused problems in our relations at the beginning,” he told President Reuven Rivlin during the second day of a visit to Israel. “Our aim is to ensure that Jews everywhere feel safe. It is our responsibility as Austrians to the victims of the Holocaust to ensure that we live in peace and agreement with Israel,” he added, according to a text released by the president’s office. Absent from the visit was Austrian Foreign Minister Karin Kneissl, at Israeli insistence, according to Haaretz. Kneissl was nominated for her post by the Freedom Party, a far-right party with Nazi roots. The government of Chancellor Sebastian Kurz has accommodated itself to Israel’s policy of maintaining relations with Austria while refusing to meet with officials from the Freedom Party. 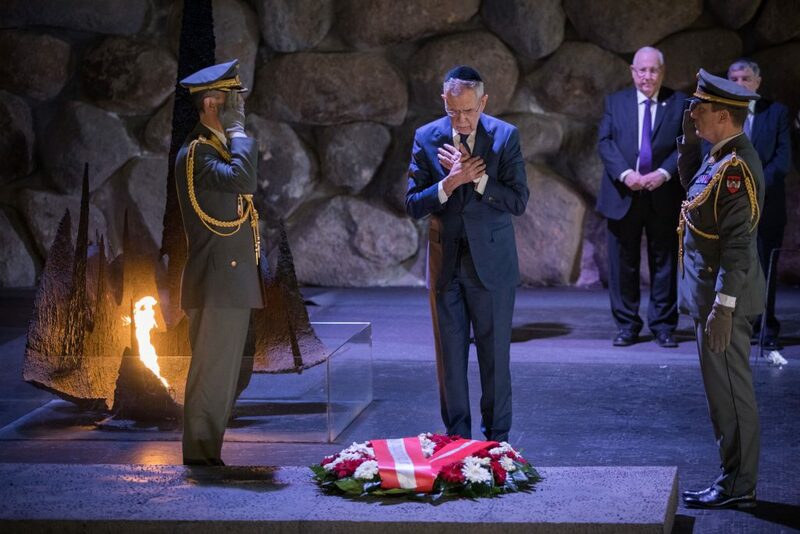 The two leaders later visited Yad Vashem, where Van der Bellen laid a wreath at a ceremony in the Hall of Remembrance. He is also scheduled to meet with Prime Minister Binyamin Netanyahu later Monday. The Austrian president visited the Kosel on Sunday.